Another photo-op and thus another brief entry. The full “hunter’s” moon at this time of the year is nearly due west -- as is the canal opposite our home -- so the moon seems to set almost into the water. 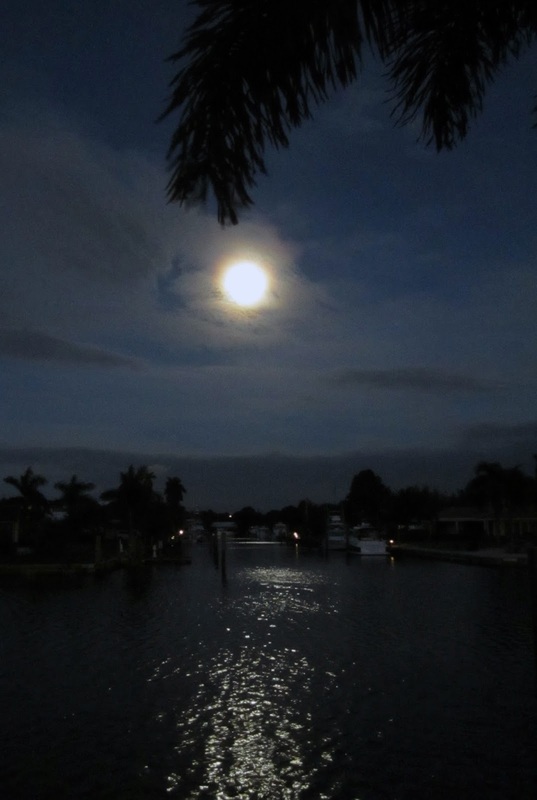 This is the last “supermoon” for a while, a beautiful, tranquil sight but good riddance to the accompanying super high tides!